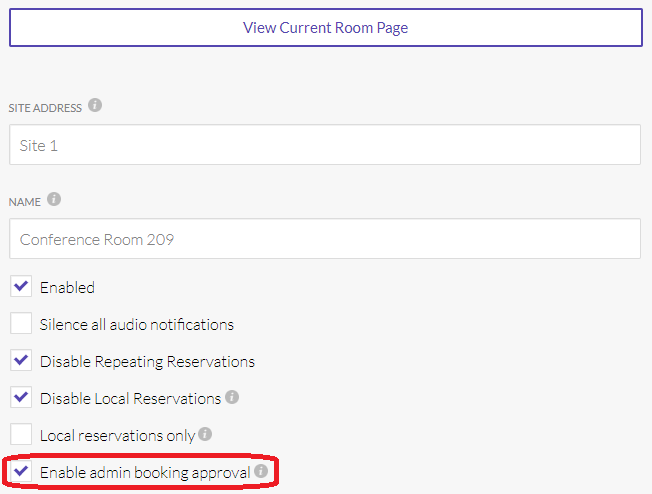 You can follow the below steps to activate the booking approval queue feature on your Roomzilla page. 2. Select the "Rooms" tab. 5. Now that you have activated the feature let's check out how to manage your reservations. Reject reservation with a message to the host. Settle all conflicts on a first come first serve rule. Reject all reservations that conflict with an already approved reservation. 7. If you are trying to find a specific reservations within the queue you can use the search options provided. A -Search by the "meeting purpose"
D - This is a drop down menu which allows you to search for all reservations within a specific room. E - How many results/reservations do you want to show in the queue at once.